When Kim Kardashian West went to the White House to fight for criminal justice reforms people may have rolled their eyes. Another celebrity seeking attention. Yet, Kardashian West successfully lobbied President Trump to secure the early release of Alice Johnson. Perhaps a woman’s plea was needed to prod along the case of a 63-year-old grandmother who spent a third of her life serving a life sentence for her drug crimes. (Johnson was a nonviolent, first-time offender.) One woman’s commutation, though symbolic and encouraging, was just one release and not the systemic change that our nation needs. President Trump threw his support behind a bipartisan criminal justice reform bill last week. Republicans and Democrats have a unique opportunity to follow the will of the electorate on this issue and work across party lines to bring transformative reforms that will help men and women in our justice system. They cannot squander it. We often focus on women as the loved ones to incarcerated men, caretakers of children with a parent behind bars, and breadwinners for families. This overlooks the female prison population and their need for justice and rehabilitation. Women in prison face many of the same obstacles that men do: harsh sentences, severe penalties, and a lack of opportunities. They also face challenges unique to their gender. Some 1.2 million womenare under the supervision of the criminal justice system (comprising about 18.5 percent of adults in the system). The federal female prison population has been growing at twice the rate of growth for men - skyrocketing from 13,000 in 1980 to over 110,000 in 2016. Women are less likely to have committed violent crimes than men. They are more likely to commit to property crimes such as larceny theft and fraud, as well as drug offenses and crimes including possession and trafficking, than men. There are human costs, fiscal costs, and societal costs attached to our current approach to corrections that have not been addressed effectively. Washington has a chance to implement incremental but life changing reforms that can help the federal female prison population. The current Senate proposal under consideration (the First Step Act) reduces mandatory sentences on drug offenses and grants judges greater discretion in using them, which could affect thousands of federal inmates. This effort could also tackle the “girlfriend problem” in which some women suffer severe and punitive punishments for being connected to a violent offender. Lawmakers want to open up more opportunities for education and skills and job training behind bars. This would give inmates a chance to become productive members of society. Nothing kills recidivism like the ability to work. As a pregnant woman, I am encouraged by the proposal to end the shackling of pregnant inmates. The Bureau of Prisons banned this practicefor all federal prisons in 2008 and for good reason: the health and safety of pregnant women and their babies are at risk during daily routines of confinement as well as during labor, delivery, and recovery. Yet, the practice of shackling still persists. With an estimated 2,000 births occurring each year while women are in custody, stories abound of miscarriages from shackled inmates falling down or hurting themselves during delivery. In addition, women would be given free sanitary pads and tampons. If other hygiene products come complimentary for federal inmates, why not menstrual products for women? These are by no means the biggest areas of reform that advocates want to see, but they represent a first step forward and one that could be attainable in this session of Congress. Public opinion supports Congress taking these actions. 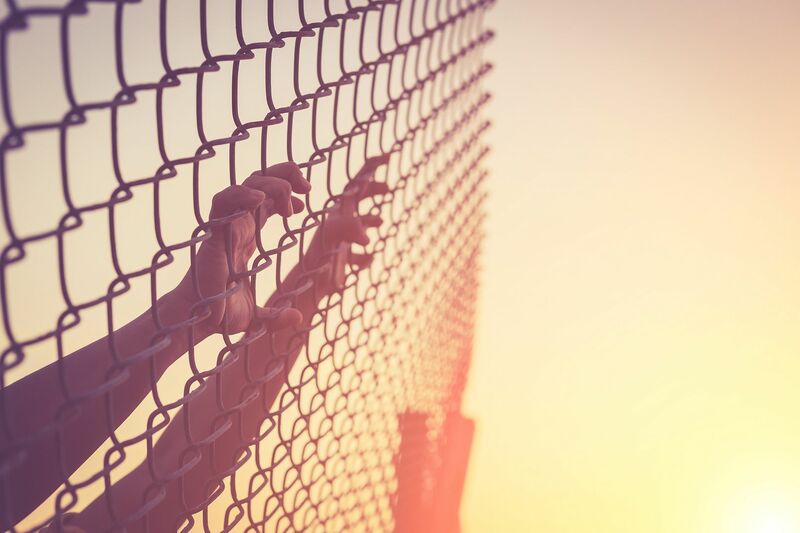 According to recent polling, 82 percent support the First Step Act including changes to mandatory sentencing, efforts to aid reentry, and ending the shackling of pregnant female inmates. In separate polling, 90 percent support providing basic hygiene products to incarcerated women free of charge and 86 percent support banning the shackling of pregnant women. To correct some misperceptions, criminal justice reform is not an effort to open the gates for dangerous criminals into our communities or a signal that lawbreakers will get off the hook with no accountability for their actions. Reform recognizes that we can be smart about punishments and reentry. People should be punished and serve reasonable penance for their crimes, but they also need a chance at a productive life afterward so that they don’t revert to the same behaviors and crimes that landed them in trouble to begin with. Most Americans believe that the main goal of our criminal justice system should be to rehabilitate people to become productive law abiding citizens. This may be one of the best opportunities to fix some broken areas of our justice system to make that happen.